From essays to newspaper columns, from blog posts to full blown books, memoirs and all their variations are becoming an increasingly popular way of using personal experience to explore a societal issues. I’m really looking forward to hosting a workshop on Memoir at the Dalkey Writing Festival this October. With lots of discussion, lots of writing and lots of discovering, I hope to help participants unlock some stories worth telling. Recently I was enjoying a lovely 5 hour car journey with my girls, a fixed grin firmly established on my face as they fought, fidgeted and fed their way through the journey. To keep the cheer cheerful and the miles mindful we listened to some music. Now there are many things that have surprised me about parenthood but loosing control of the car music was not one I expected quite so early. It actually began with the toddler age when I endured hours of Wheels on the Bus, and the years have been equally traumatic with various phases of Disney albums, Frozen album (a full year) and the occasional storytelling montage. Thankfully tastes have matured and at least now we get some level of music I can actually screech out loud to in the car. I don’t mind Taylor Swift at all, in fact I really like her music and really appreciate her wit and lyrics. But 4 hours of it, and I was ready to drive over the harbour wall when we finally arrived. What did save me though was the talking bit at the end of one of her albums where she demonstrated how she wrote a few of the songs. In one, she had a ‘sick’ tune (meaning it was pretty darn good) and she then just had to write the lyrics. In another she had a story and she had to find the right tune. In another, she was given a beat and she turned it into a hit. And it got me thinking about writing words. As a writer, I tend to do a lot of writing. So far, so obvious. But as I am preparing to host a workshop at the Dalky Writing Festival I’ve been planning some exercises and thinking a lot about my own writing techniques. And what strikes me is the variety of ways in which I write every day, each different, each coming from a different part of me, each producing a different melody, beat and tune, but all essential to the album collection of writings. I usually start the day with a furious flurry of free writing – I use the website www.750words.com but it’s essentially the same as Morning Pages, which anyone who has read Julia Cameron’s Artists Way will recognise. It’s like having a good old cough and bringing up all the phlegm that is building inside you, and ejecting it from your body. Kinda gets it all off your chest. But it has amazed me how many great ideas or thoughts, or sentences have come from that. I also use free writing when I’m stuck. I learned it recently at a writing retreat and it’s a technique where instead of getting bogged down in a structured plan (see below) you just start writing in a feverish frenzy and don’t stop to fix spelling or grammar or ideas and kind of marathon tap until you’ve fallen exhausted over the edge of the page…. it’s amazing what can be freed up with that. It is quite liberating, and allows you the freedom to write without thinking. At the opposite end of the scale, I then love the structure of planning out of scenes or beats within scenes or chapters for my novel, and my non-fiction, and working methodically through the body of work. I use Scrivener which is a programme that helps you chart out plots and characters and plan how the book will be structured. While typing I can just write notes all over my writing, move bits around, just list ideas I want to write about and worry about where they fit later. You can ‘index card’ every section you write so you can play a lovely game of ‘move the cards’ every so often to see how things might look in different ways. (Or if you’re bored and procrastinating, it can provide endless amusement putting the end at the middle or seeing how many stories you can make by tumbling up your sections headings.) I love the boundaries of this, the borders around each section which allow me to focus on one thought or scene without being overwhelmed by the whole project. When I write like this, it is the opposite of free writing, and is very thoughtful and nuanced. As a day job, I work as a campaign copywriter for the non-profit sector, so much of that writing is very focused and has a very specific technique to maximise storytelling and donor engagement. After the research and playing around with ideas and themes, the discipline of making every single word work is challenging in a really satisfying way. As a freelance journalist I have to write facts without flourish, although I have to weave engaging words between them, and I love finding ways through an issue. Every piece has a clear Intro, question, exploration and conclusion. Personally I also write a diary and have been advised to also start journaling to ‘deal with some stuff’ although frankly I find my morning pages and Gin do that just as well. Professionally I write blogs (one topic driven, one writing focused and one work related) which often need to be courageous, complete, and succinct yet thorough. Again, taking a theme, mulling it over, playing with the words and making a piece of prose that informs, inspires or entertains. So many ways to write, so many outcomes for the writing. Every day I learn a new rhythm, or discover a new tune to play on my laptop, I never run out of words (although I can easily run out of steam.) But then that’s when other words come into play. At the end of her album, Taylor Swift talks about listening to other music to nurture and inspire her, and that is what writers do too. When you need a break from writing, reading is the next best thing. Or listening to music in a five hour car journey. That even inspired this post. How time flies! 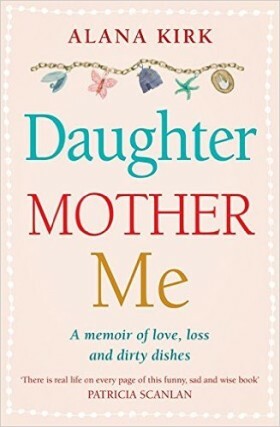 It’s six months since my debut book Daughter, Mother, Me: a memoir of love, loss and dirty dishes was published amid a flurry of bookshop tours, book signings, TV, radio and newspaper interviews and twitter frenzies (mine). A year since I sweated in a the chill of summer to finish the first draft, my arse glued to a chair, lest I succumb to the demons of doubt and never got to write The End. It had been an incredible experience, and in no part a solo endeavour. I was so lucky to have such a great editor and publisher at Hachette Ireland and agent, Sallyanne Sweeney. It is a subject very close to my heart, and made more poignant by the fact that my mum, who the book was written about, died on it’s publication date. I never intended to write this book. I wrote a blog about my sandwich years, sandwiched between caring for my three young children and my mum, who had a stroke four days after my baby was born. That blog became a memoir, and I have been overwhelmed with the responses I have had from people all over the world who said my telling helped their living of this experience. The book documents how I was caught in a perfect storm of care, and in the midst of parent-care and child-care, I finally had to learn self-care. The book became an Irish bestseller, and spawned a series of articles in a variety of newspapers and magazines and the response to them from people going through similar experiences has also been phenomenal. I’m delighted to have been part of a very important conversation. Blogging is one of those activities that you either love or hate. It can be seen as a global audience for narcissistic rantings, or a platform for the everyday Joe and Jane to explore their creative musings. Perhaps it’s a little of both. There are good blogs, bad blogs, funny blogs, sad blogs, shameful blogs, self-indulgent bogs, inspiring and uplifting blogs. There are blogs about politics, celebrities, lifestyle, hobbies, careers, passions, passion. Blogs for nerds, survivors, parents, grandparents, children, teachers, tinkers, tailors and candlestick makers. Blogs that move, blogs that hurt, blogs that inform and blogs that explain. There are even blogs dedicated entirely to the pictures of puppies. With a new one created very 7.4 seconds, it is estimated that there are currently over 8 million blogs at our fingertips from every subject under the sun (and a few about the sun and beyond). A voice for the common people, a window to share, a platform to create, a discipline to develop. And it’s that discipline I want to focus on. For writers (and there are many, many great blogs about writing – see below) keeping a blog going is a discipline in commitment, honing your writing skills and showcasing your writing in a fresh and exciting way. Blogging can be a really useful tool. And not for the reasons many might think. We’ve all heard the stories of bloggers making it big in the publishing world, but they are rare, a bit like the JK Rowlings legend of being rejected 56 times before becoming a multi-gazillion selling author at the hands of a small publishing firm. That’s not to say a smaller, less ‘Daily Mail headline’ version of that can’t happen. I got a publishing deal from a blog, although it was really the writing style and the premise of the blog that my book Daughter, Mother,Me: a memoir of love, love and dirty dishes became (sadly of the 70,000 words I had to write, very few came from the actual blog itself). But the key lies there in the last sentence. The publisher loved my writing style and saw a potential in the premise of my blog (in this case, documenting the highs and lows of wading through the sandwich years of caring for parents and babies with some modicum of sanity left). They loved my writing style. And the premise of my blog gave them an idea that led to a book. If I had never written a blog, I wouldn’t have been seen as a writer worthy of being given a publishing deal. I had submitted a novel and while they liked the writing style of that, felt the story wasn’t strong enough. It was a first attempt and I take with me all their feedback. But importantly they knew they liked my style and I had the capacity to write a lengthy piece of work. But the blog also showed a broader skill and a wider scope. A blog creates a body of work that shows not only your voice but your capacity as a writer and an author. It answers questions like who you are, how you relate to and with the outside world, are you serious, poetic, witty, observant, bold, brave, sensual, funny, generous? It also shows you have focus and stamina. To write regularly and consistently, to follow a path and let your writing take you places, to explore and explain and develop is a showcase for how you, as a writer, can be, takes a level of commitment that can be appealing. Every writer needs to write regularly to hone the craft. There is nothing more regular than a blog, especially if you are able to grow an eager audience. The subject matter does not have to do with your writing. It can be a wholly independent part of you from gardening to parenting. The point is, it’s a creative way to write regularly and build a platform of your work. Even when I can’t write, even when I’m stuck or can’t get the headspace to think out plots or tricky scenes, I can write one of my two blogs. One is to do with me as a writer, and very much supports that persona. But the other is personal and I write that as me the person. 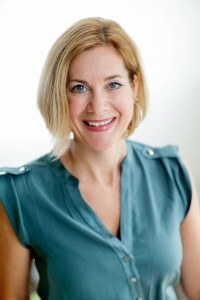 It has evolved from the sandwich years I wrote about previously that became my first book, and has a new focus, to explore the new phase of my life, and a new topic I am passionate about writing about in and outside of that blog – redefining middle age. It is a subject I hope will become a second non-fiction, in many ways it is also the subject of my novel (but with a little more drama), and is the subject of a series of newspaper articles. The blog is central to all of those – it is my private, yet very public, place to work through some of my experiences, theories and language. Despite the fact they are shorter, complete pieces of writing, they still require that skill of finding a point and making it well. It is all practise, and as a practising writer who sometimes struggles to get the chance to ‘write’ the big stuff, I can always find the time to write the small stuff, no less well written for it’s brevity. It keeps me writing, no matter what. And every time I open a new post page, and that curser blinks at me, willing me to write, I smile and let my fingers do the talking.